If someone were to ask you who the most popular rock band in America were, chances are you'd reply with names like AC/DC, The Who, The Rolling Stones, Rush or one of the many groups whose faces constantly stare out at you from the newsstand at your local drugstore. I imagine few of you would respond with "STYX!" as your answer, but if you did, you'd be absolutely correct. A recent Gallup Poll pinpointed Styx as being the most popular rock band in America and when you look at some of the group's astounding accomplishments over the past few years, the results of that poll are quite understandable. Statistically, Styx tours attract more fans than The Who, Bruce Springsteen, or any other group in rock 'n' roll; they're also one of the few groups ever to achieve three triple platinum albums in a row. The song "Babe" from the Cornerstone album won the 1980 People's Choice Award as "Song of the Year." Currently the group is undertaking the largest tour in rock music's entire history. A tour that will reach over 1.5 million people, breaking the record of 2 million established by ZZ Top's Worldwide Texas Tour in 1976. The Paradise Theatre Tour will cost over $4 million dollars to mount and sustain, it will require a 46 man crew and a convoy of nine vehicles, and it will include 140 performances in the U.S. and Europe. The Paradise Theatre Tour which began late last month has had sold-out shows in every city so far including three capacity nights at the Rosemont Theatre here in their hometown of Chicago. Prior to the first Chicago performance, Night Rock News was granted an interview with James Young, the long, blonde-haired guitarist/vocalist of the group. We spoke of Styx' early days in the Windy City, their slow climb to the top, and their current project — Paradise Theatre. N.R.N. — With the economy the way it is today, why is Styx undertaking such a massive tour? J.Y. — "Cause we're all crazy! I don't know...honestly we were all pretty scared in the beginning about the fact that we went out and borrowed a heck of a lot of money because we strongly believed in what we were doing. In the face of last year when a lot of groups with Top S albums were playing to half filled houses, taking on such a tour as this was definitely a risk. We felt strongly about the new album and felt strongly that our supporters would come through for us, and so far they have." N.R.N. — Nearly all the shows so far have been sold-out, correct? J.Y. — "Right...they've all been sold out!" N.R.N. — How do you account for the group's immense popularity? J.Y. — "I think that part of the reason is that we've built this group up over a long period of time, kind of a 'long term slow burn' to start quoting lyrics from the new album. It seems that groups who do it that way build their reputation on their live shows and on radio play, and not so much in written print. That creates somewhat of a mystery about the group..."
N.R.N. — Why do you feel the critics have been so harsh with Styx? JY. — "Well, I don't know... probably because there's nothing especially glamorous in terms of four married guys. We're from the Midwest and remain kind of low profile outside of the music, and we aren't really scene makers." N.R.N. — Yeah, you guys aren't exactly Mick Jaggers and Rod Stewarts hanging out in world famous bistros and making the social pages every day in the Big Apple. JY. — "Exactly! We all tend to remain low profile and private. In addition, I think we went unnoticed until we were all of a sudden successful and popular.. .the first time Rolling Stone magazine ever reviewed an album of ours was with the release of Crystal Ball which is our sixth album. We were virtually ignored until that time." N.R.N. — How did you guys get signed to Wooden Nickle, your first label? J.Y. — "The Wooden Nickel signing came about as a result of doing a demo tape. I had joined the group in late 1970, and about a month or so later we went in to a recording studio in Harvey, Illinois, a country music studio called Brave Records. I believe the building it was in is now a furniture wholesale shop or something like that. Anyway, we recorded three original tracks and three copy tunes just to try to get work basically at that point in time. The guy who was sitting there liked what we did so much, he told us he'd work on getting us a contract, and for a small percentage we got free studio time and use of the studios when we wanted it. That was really nice, but as time went on he decided he didn't have the ability to record us the way we should be recorded so he borrowed ten thousand dollars and sent us down to RCA Mid-America Recording which was then at One North Wacker in Chicago. We went down there with Brian Christian who did the Guess Who and a few Alice Cooper albums and a few other things that did pretty well." "Anyway, to make a long story short, Wooden Nickel heard the tapes that we made there, were impressed with the vocals more than anything else, and signed the band." N.R.N. — Why did the group go over to A&M Records? J.Y. — "We had had 'Lady' become a big success for us. Styx II, the album which 'Lady' was on followed it right up the charts, and then right back down the charts again. Three months after the song and album went off the charts, our career was right back to where it had been. We hadn't been put on a national tour, we hadn't been exposed outside of. the Midwest very much, and we felt that the record company hadn't really handled things very well. We were dissatisfied and it was the group who caused the break with Wooden Nickel, and we went out and solicited other labels." N.R.N. — "Lady" didn't really hit until almost eighteen months after the release of Styx II. Was the single release the same version that originally appeared on the album? J.Y. — "I think we may have at tempted to do an edited version, because if you remember, back then there was this giant three minute syndrome on Top 40 radio. Overall, it was the same version, but I believe we edited the ending slightly." N.R.N. 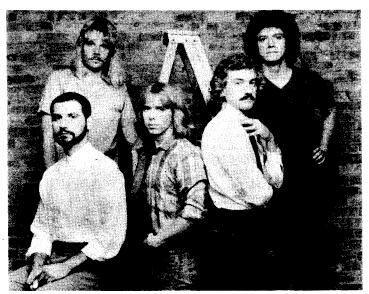 — In the early days when Styx was just beginning to cut its teeth on the national tour scene, the group was often termed as being "to hot to follow" according to a press clipping I read. Who had you guys warmed-up for? JY. — "One band that we worked with an awful lot was Kiss. And even with all their theatrics, they eventually began to think that Styx was just a little too good. While our strengths were different then theirs, our show tended to point out some of their weaknesses. After awhile, they didn't want to have a group as strong as we were both musically and vocally opening up a show for them. There were many other groups as well that we performed with... the Doobie Brothers, ZZ Top, Three Dog Night, Blue Oyster Cult, Aerosmith, Bad Company and a lot of others... man, it's been a long time." N.R.N. — When it comes to songwriting is there a set style or format what you use? Do you write the lyrics music first, or both at once? J.Y. — "For each of us in the group, the writing can happen any of a number of different ways. Personally, I like to come up with a title first... I usually work on musical ideas, lyrical ideas, and conceptual ideas, each separately. Then when I have a couple of things that seem to fit together, like music that fits a particular title I've got, then I'll try to come up with a chorus area or a hook area and piece them all together. But a song can happen different ways 'cause I can have a set of lyrics and then try to write music to specifically fit those lyrics. There really isn't one set style I or any of the group uses." N.R.N. — Your compositions seem to run in a much different vein than Dennis', do you guys ever have conflicts trying to write a song together? Styx is from left to right: James (J. Y.) Young, John Panozzo, Chuck Panozzo, Tommy Shaw, and Dennis DeYoung. J.Y. — "From the very outset of Dennis and I writing songs...he just likes different things than I do. As the final bottom line, I'm a rock 'n' roller pretty much all out, and Dennis appreciates the finer points of melody in a sense, which is not one of my major strong points. His lyrics are much more emotional than mine are we've always had that difference and probably always will. It's been visible from day one that we have different musical styles and influences, and even moreso on the last few albums because we felt a little more at ease about spreading out the styles that are represented on the album." N.R.N. — After the Grand Illusion album it seemed to me that many of the lyrics held a sort of patriotic symbolism. And then after looking over your press kit, I found that it wasn't just me reading that sentiment into it, but that you purposely aimed at having the songs symbolize aspects of our country and way of living. JY. — "Well you're one of the few people that actually seen it there. Most definitely it was intentionally included...I think it comes from the idea that everyone is really knocking this country, a lot of the people that live here knock it...we've traveled all over the globe and seen what it's like in other countries. Although this country is far from being perfect, but it is still the best damn country in the world by a long shot. Many of our songs try to reflect our feelings on America and the people..."
N.R.N. — Do you feel that perhaps your music will help unify the young people of America? J.Y. — "Well let's stick together and futurize our attitudes' to quote a line from 'Rockin' The Paradise'. I think that this country is still the greatest country in the world and I believe still strongest country in the world, and I guess it just disturbs us and a lot of other people to see that over fifty percent of the federal budget gets paid out to what they call transfer payments — which is welfare, food stamps and such, which all amounts to billions of dollars. This country was founded on hard work and the capitalist ideal and the attitude had today is the one that hurt Great Britain over the long term. They went out and tried to protect the world. "Well anyway, we aren't trying to form the Styx political party by any means...we just write to reflect some of our thoughts on things." N.R.N. — When did you guys really get into songwriting in that sense? J.Y. — "Well we've been writing our own material since we've been together, but I'd say we really got very serious about songwriting about 1971.. and more and more we've come to draw on our own personal experiences and adventures for the subject matter of our material." N.R.N. — What inspired Dennis to write "Come Sail Away"? J.Y. — "Well 'Come Sail Away' is a song of hope. I think Dennis was going through some personal crisis at the time, and in a certain way we all were because there was a lot of pressure building and mounting on each of us as the group became successful. 'Come Sail Away' was kind of an escapist song for Dennis, a song where there was a place that one could go to to relax and be comfortable, a place where everything was just peachy keen. We all have those moments when we need that kind of place to escape to, that's probably why we get a strong reaction every night that we play that tune." N.R.N. — Has any other artist or group recorded any Styx compositions? JY. — "I don't know if anyone has recorded any of our stuff, I don't think so...we have a publishing company, and they make money by taking our songs and having other people record them and get them on records. But even with a song like 'First Time', which would seem to be a marketable ballad to a legitimate singer, they just haven't had any luck. I guess people just feel they can't live up to or improve the original version." "One time I was watching the Tonight Show and Connie Stevens came out and sang 'Fooling Yourself'. She shifted the lyrics around a little bit to make the song more of a male/female thing, but she had been doing the song for quite some time according to what I was told. It was a real kick to see her doing the song..."
N.R.N. — What kind of role did your family play in your musical growth? JY. — "In a certain regard, my parents sort of stifled the rock 'n' roll in me during my teenage years. I think all parents are kind of afraid of the connotations of a musician and the stories we read about their wild lifestyle which we all know aren't true at all (laughing). "Honestly, my musical growth was very much stimulated in some other areas outside of rock 'n' roll. For example, my father can play a heck a piano by ear, if you give him a melody and about five minutes he can work out just about any song and be able to reproduce it. That's a pretty astounding feat. I inherited some of his talent there, and they encouraged me to play clarinet in the high school band. I took piano lessons on and off from the age of five to fifteen and picked up the guitar at about age fourteen... My family really encouraged me to be a musical person, all five kids in my family took piano lessons. "Without a doubt they're proud of Styx' accomplishments, and I think even moreso now that our lyrics are a little more socially responsible." N.R.N. — What were some of the highs and lows the band has experienced so far in its career? J.Y. — "Well certainly some of the big highs were when 'Lady' finally did explode and gave us the credentials to find a new label that could do a better job for us. From there the next plateau was when we signed with A&M and they began to break us in Montreal and parts of Canada, that was an area that RCA (Wooden Nickel) hadn't done a thing for us in. It was at that time that we first began to realize that people were really paying attention to the other material outside of whatever single was picked for release. 'Suite Madame Blue' got a giant reaction in Montreal when we were backing up Bad Company. The crowd just went wild for us and it had never happened like that before. That was when we realized that our album material was legitimate in terms of that the public would accept it. "From there the release of the Grand Illusion album was the next really big event...from Equinox on everything has basically moved upward steadily with some really big spikes like the Grand Illusion release and certainly 'Babe,' which was our first number one single ever. We were due to get a number one album...and Paradise Theatre is the biggest thing yet in the group's career." N.R.N. — The music of Styx is pretty intricate, and I was wondering if you ever had trouble duplicating the clear sound of the albums when you play in concert? JY. — "We have enough musicians to do just about anything that's on any record...there's obviously things like where we have horn players on the album that we can't duplicate perfectly live. Last year we did bring horn players along for when we did 'Why Me' off Cornerstone... this year we have the track 'Lonely People' in which the horns have got to be there in order to give the song the impact it has on the record, but that cut does not seem to have surfaced in any big way, so we aren't performing it live. I know it would be a big number live and that the crowd would really get off on it, but it's too much of an expense to bring along five guys on a tour to play horn for just one song. "Apart from that I think we're pretty much able to do just about anything...I do play the keyboards a little bit off and on during the show, and when a group has two guitar players there's always room for one guy to be playing different lines here and there. Another thing that helps is that our assistant engineer in the studio is also our live sound mixer, so he knows whatever was done to get a certain sound in the studio, and can do it for us live on the road. Many people have told us that Styx is the closest any group has come to sounding like their records that they have ever heard...aside from our own talent, a lot of credit for the clean sound is because we have, if not the most sophisticated, one of the most sophisticated P.A. systems and monitor systems on the road today. Investing money in your equipment and having good people that you can rely on behind the board pays off in the long run." N.R.N. — Are there any particular instruments or equipment that the members of Styx endorse? J.Y. — "No not really we basically try to shy away from that sort of thing because they all want a little too much from the artist for the endorsement.. you find your picture popping up in strange places. It's just like when you see a top named actor doing commercials for Dash or Fab or something like that you always stand back and think; 'Well things aren't going quite that good for them if they need to do this to put food on the table." N.R.N. — Do you have a favorite guitar that you like to use? J.Y. — "I've used a Fender Stratocaster as my main guitar for about thirteen years now." N.R.N. —Who develops the group's stage show and effects? You always have an interesting visual show as well as your music. ,J.Y. - "Our lighting designer Jeff Ravitz who has a degree in acting and theatre from Northwestern University. He kind of takes the embryos of our ideas and makes them into reality. He's very good, he's designed lighting layouts and plots for legitimate stage plays that go on throughout the Chicagoland area from time to time. Jeff's done a heck of a lot of good things for us in many different ways...many of the ideas come from the members of the group, but Jeff is the one who take the dreamer's dreams and makes them into reality." N.R.N. — Since the group produces its own albums do you have control over every aspect of your product? Such as album graphics, promotional material, track placement, etc. J.Y. — "Yeah, we really have total control over everything involved. The only limiting factor of the band having total control is the time element, basically as far as track placement sequencing, and how we want the material to be, is no problem since we produce ourselves. As far as the album covers... that's the only area where it's difficult for us to have total control. What we do is, the chief of A&M's art department will fly out of his office with certain ideas and our manager will go over it with him and say, 'Well we want this and this, but not that.' etc. We all usually get together and hash it out until all parties involved are happy with the end result. Graphics are usually limited by the deadlines the group is working to meet, release dates and such. Promotional stuff is the label's doing for the most part." Aside from being a hockey nut, J. Y. is into drag racing. Here J. Y. gives moral support to friend and Styx fan Shirley Muldowney, the only drag racer to win the National Drag Racing title twice. Muldowney was about to race in Pomona's Grand Nationals. Painted on the front of Muldowney's car (just forward of the spot where Shirley's helmet is resting) is the cover of Styx' latest A& M album, Paradise Theater. N.R.N. — On your early RCA/Wooden Nickel albums, why did the label re-release them with those horrible, multi-colored, abstract jackets? The original cover art on all of those LPs were beautifully done. J.Y. — "I really haven't the faintest idea. As far as those are concerned, and the Best Of Styx which was released by them also, the group had no say so in the matter at all. Maybe they figured by changing the graphics they would get Styx fans who already had the early albums to buy the new ones because they were different. Maybe they just wanted to save money on packaging and keep the overall cost to a minimum. Either way, we weren't too happy about it!" N.R.N. — The song "Great White Hope" seems to have sports connotations. Are you and/or the members of Styx heavily into sports other than John (Panozzo) who is widely known for his love of hockey? J.Y. — "Yeah, we all are into sports pretty much. As you know, John turned down an offer to play semi-pro hockey but he still loves the sport and that has kind of rubbed off on the rest of us...we love the Blackhawks and have box seats to their games whenever we get a chance to attend. As a matter of fact, we've become friends with the whole team and most of them will be attending the first Chicago performance the group plays at the Rosemont. We've got some good seats for them. "Aside from that, Dennis is getting into golf quite a bit lately, he just bought a place that has a golf course almost next door. He goes out and plays and just relaxes and puts his mind to ease." N.R.N. — Tell me about John Curulewski and why he left the group? J.Y. — "John was very opinionated and had his own ideas on how things should be done, and towards the end of his time with the group he didn't seem very happy with what was going on. His wife had just had a child and maybe being on the road was bothering or whatever...it's difficult for me to say, because I haven't really talked to him in length since he left the band. He was upset with certain things and the way certain things were happening..."
N.R.N. — Is he still into music as far as you know? J.Y. — "I know he's still teaching guitar lessons and off and on he's had different groups that have played around. But he hasn't had anymore record deals that I know about." N.R.N. — How'd you happen to enlist Tommy Shaw into the group? J.Y. 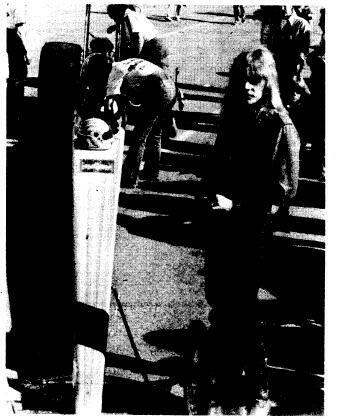 — "Our road manager at the time, a guy by the name of Jim Voss had seen Tommy play in a group...we had auditioned a few other people and Jim suggested that we try this guy. Tommy had lived in Chicago for quiet awhile, but by this time, he had moved back to Alabama where he was born and raised. So we brought him back and tried him out and he could sing the parts, which was the most significant thing we wanted. At that time we weren't all that concerned at how well he could play guitar but as it's turned out, he's been a great asset to the band both ways, no doubt about it." N.R.N. — Why was the song "Best Thing" from the first Styx album repeated on the Man Of Miracles album? J.Y. — "Well, Man Of Miracles was released at a time in our career when we were kind of getting desperate. You asked before about the group's highs and lows somewhat...but Man Of Miracles was recorded under stress, we didn't have that much money and were in debt. We recorded the album downstate in Pekon, Illinois, it was the only time we ever recorded outside of the city although we did mix it here in Chicago. We decided to remake the song called 'Life' by the Knickerbockers, and I have to take the bad rap for that mistake, I thought we could do a real hot job on the song but it came out terrible. "What happened was, when 'Lady' became so successful. Styx II began to overshadow Man Of Miracles which we had just released. Because of that the label for the most part quit promoting Man Of Miracles. We (the group) started causing a lot of crap with the label about it...they said they would re-release 'Best Thing' as a single and try to do the same thing with that song that had happened with 'Lady' and thus move the Man Of Miracles album. It was a move in the wrong direction, but it was kind of a desperation move... and well, that's show biz!" N.R.N. — What was the concept behind the Pieces Of Eight album? J.Y. — "Well Pieces Of Eight was not nearly as conceptual as the Grand Illusion or as Paradise Theatre...we were just starting to make a little bit of money and see the fruits and benefits of success. It was really kind of a continuation of a lot of the ideas we brought forth in 'Suite Madame Blue' and on songs of the Grand Illusion album. Pieces Of Eight overall was still a lot of reflections on the American way of life. You've got 'Blue Collar Man' on that album, and the 'Queen Of Spades', which I don't know if people viewed that as a song about a person being addicted to gambling, but that was the whole idea. "It's funny 'cause even to this day, that particular song and 'Suite Madam Blue,' people view those songs as songs about women. It's a bit ridiculous because look how many times we sing, 'America, America, America' in the song, 'Suite Madame Blue'." N.R.N. — Why did the band's association with John Ryan come to an end? "To make it short, we (the group) didn't like the idea that somebody was trying to control our music...we felt we could produce ourselves better than John Ryan could ever produce us, in addition, one of the things that was lacking from our sound in the early days was a technical refinement. The records just didn't sound like top notch recordings, and John Ryan didn't really have any expertise in the area of improving that problem. "We wanted to go for a name producer because we thought that would draw more attention to us...we talked to Glyn Johns, George Martin and people like that. But when it finally came down to it none of them could fit us in their schedule in the time frame that we wanted to do an album. We had always felt strongly about our ability to produce ourselves so with the technical expertise of our engineer Barry Mraz and our own feel for what our music should sound like, we began to produce ourselves." N.R.N. — Would you like to produce other groups in the future? J.Y. — "I don't know, there is so much more of a greater emotional benefit to me to go on stage and play...producing other groups takes such a great deal of time and energy and I'd like that energy to keep going into Styx. I suppose in the long run after Styx finally is over with, which I don't think will be for quite awhile, it is a possibility. For now, Styx is the top priority, with every member of the group!" N.R.N. — On the Serpent Is Rising LP, there is one thing that has always been puzzling, and that is what the hell is a "plexiglass toilet choir?" JY. — (Laughing)..."Well, that was John Curulewski's trip there, he just brought in a slew of human beings that were friends of ours that wanted to get in there and sing. We filled the studio with friends and they all sang their parts and we mixed them into the album. That song was obviously performed for the comedic value, and I know Dr. Demento had the song as number one on his charts for quite a while... (laughing)...that's a great distinction." N.R.N. — Have you considered doing a live album and if so, would you record it here in Chicago? J.Y. — "Well, there has been pressure put on us from the record company to put out a live album and people do ask for one, but I view live albums as sidesteps in a career rather than a step forward. If we did one I'd like to see it include a lot of new, unreleased material as well as some of the older standards. "As to where it would be recorded, it's hard to say, I'm sure we'd record in a lot of different places...most likely it would be a hall like say the Auditorium or the Uptown if we did...sound would be an important factor." N.R.N. — About a year ago, rumors were flying throughout Chicago that Dennis was running into conflicts with the other members of the band, and that his musical direction and attitudes were on the verge of splitting Styx apart. Was there any truth to that? J.Y. — "Not to say that there's never been any dissention in the group, because when you have five different people functioning in a democratic situation you have a system of emotional checks and balances, and with the pressures of constant touring and the such there is bound to be some problems. But we've never had any major problems big enough to split up the group. There have always been stories going around about how one of us is leaving the group, but they're all overblown tremendously. "Styx will be going on for quite a while to come as far as I can see, we still have a lot to say." There you have it, straight from the horse's mouth so to speak. In addition to his role as singer/songwriter/guitarist with Styx, James Young has involved himself in several projects to help promote and sustain America. One of the biggest problems facing America in recent years has been energy shortages, and he's long been involved with trying to solve that problem by supporting solar energy campaigns. Shortly following this interview, it was announced that J.Y. had been named a Spokesperson for the Media Task Force of the Solar Lobby. The Solar Lobby is a three-year old organization dedicated to promoting the increased recognition and accelerated use of solar energy. J.Y. has been a supporter of the Solar Lobby since its inception. The Styx member's long blond hair and aggressive stage appearance belie the fact that he has a degree in mechanical and aerospace engineering. His role as Spokesperson will be to increase media awareness of the practical possibilities of solar power. To this end, J.Y. is currently planning to cut a public service spot on the Solar Lobby for distribution to FM radio. Says J.Y., "Styx' new album, Paradise Theater, tries to get across the fact that America has been sliding toward a major decline, but that if we rededicate ourselves to hard work and, to quote the LP, 'futurize our attitudes,' we can begin to move forward again. I feel solar energy can be an important part of that movement toward a better future." Styx and its members continue to "Light Up" our Future! Last edited by Kristi Wachter, Racer Records, December 11, 1999.